GENEVA (Reuters) - Diplomats are searching for ways to prevent the global trade dispute resolution system from freezing up after the Trump administration blocked appointments to the body that acts as the supreme court for global trade. 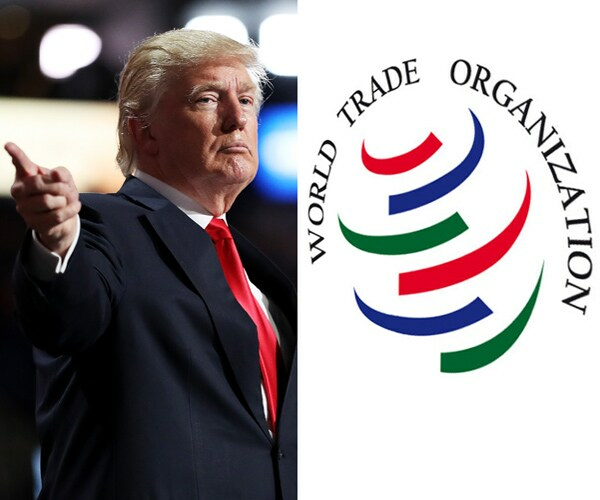 U.S. President Donald Trump has vetoed the appointment of judges to fill vacancies on the seven-member Appellate Body of the World Trade Organization, which provides final decisions on arguments between countries over trade. The WTO normally has seven judges and needs three to sign off on every appeal ruling. But two have left and another goes in December, leaving only four - just one above the minimum - to deal with a growing backlog of trade disputes. Azevedo said he did not think the situation was a threat to the WTO’s survival but it was already having an impact, and the longer it went on the more acutely it would be felt. Appointments to the Appellate Body are meant to be unanimously agreed by all 164 members, like all decisions at the WTO. The fine print says the WTO can switch to majority voting if necessary, but diplomats are reluctant to do that for fear of unraveling a system that relies on consensus as a bulwark to protectionism. Several trade experts said the move seemed to fit Trump’s ideology of favoring bilateral trade deals over the multi-lateral system embodied by the WTO.